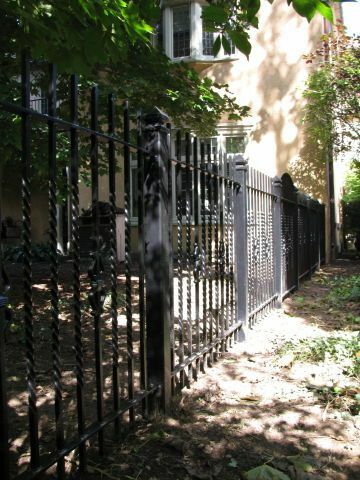 At Residential Railing and Fence, we have been designing, constructing and restoring wrought iron since 2003. We started out specializing in hand crafted wrought iron railings and fencing. We have since expanded our portfolio to include all types of wrought iron products including gates, window guards as well as custom works for both home and business. Now days, the big box stores make it easy for the homeowner, you stop in a get what you need off the shelf. What you can’t get off the shelf is a quality, hand crafted – well constructed piece of work that will stand the test of time. I hold a strong emphasis on strength, durability and craftsmanship with the service to back it up. For your home, don’t you deserve the best? Specializing in hand forged wrought iron work. We can fabricate everything from basic to contemporary to modern styles. From the traditional picket or tube style fencing to a design with old world charm, we do it all. Although a majority of our work is wrought iron, we can work with almost any material including stainless steel, aluminum, copper and hot dipped galvanized steel. View our online gallery for some samples of our work. Our collective work is a direct reflection of the client’s style, needs and flair. Not one railing, fence or gate is ever the same. I hold a high standard of quality, one you deserve. I will design, build, finish and install your ironwork as if it was going to be installed in my own home. Residential Railing & Fence company serves the following communities: Rochester, Brighton, Henrietta, Rush, Irondequoit, Penfield, Pittsford, Churchville, Greece, Chili, Ogden, Hamlin, Hilton, Fairport, Mendon, Webster, Macedon, Spencerport and many, many more.